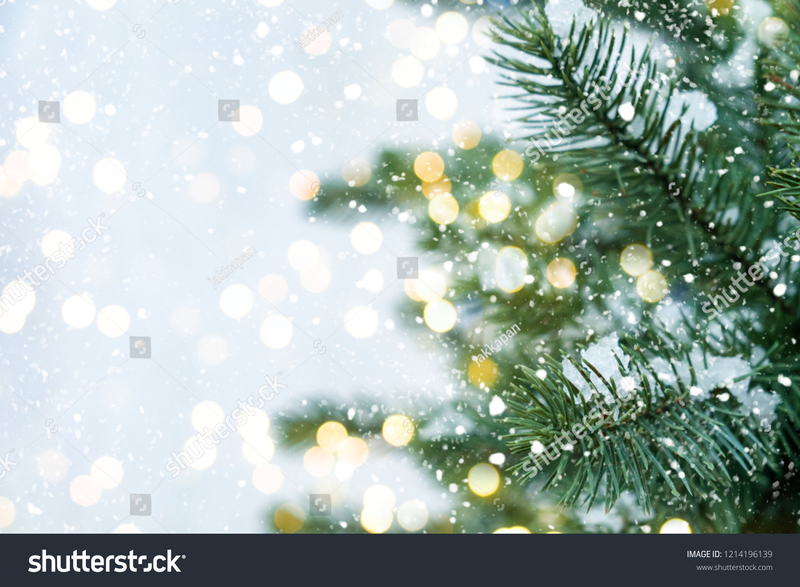 Closeup of Christmas tree with light, snow flake. Christmas and New Year holiday background. vintage color tone.